the kennedy blog: HAPPY BIRTHDAY!! we will be celebrating all day long (a continuation from our weekend which will be recapped tomorrow!!!) because of that, no post for today; however, just for stopping by and saying hi I have something exciting to share with you. that's right! in honor of Nick's birthday (and let's face it, it's really just in honor of how fabulous you all are!!) 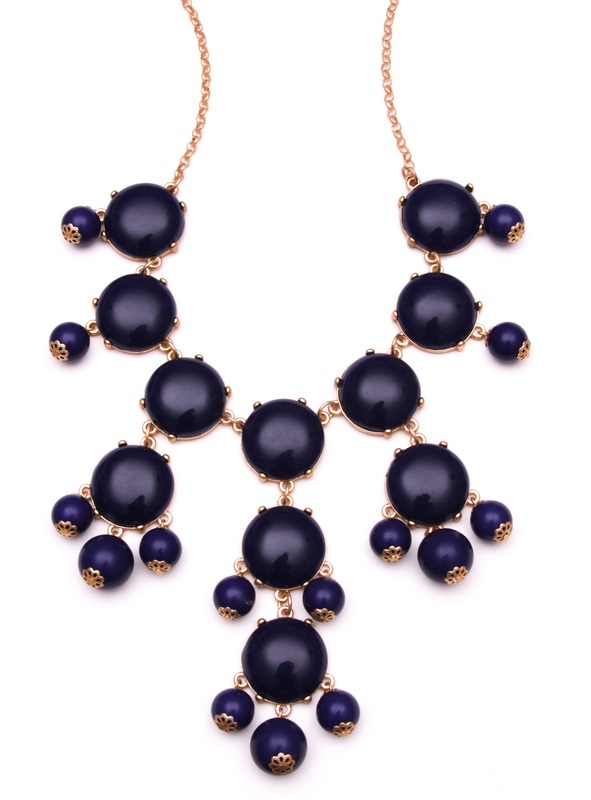 I've linked up with Brighthouse Baubles to bring you a navy bubble necklace!! LIFELAUGHLOVE15 from today through 10/22 and you'll see your beauties shipped to you at a fraction of the cost :) yes. please. Winner will be selected//announced on Sunday night (10/21) slash Monday, 10/22!! ...don't worry, I don't judge ;) and I love me some comments! I ADORE that yellow teardrop necklace, my bridesmaids just might be wearing those in my upcoming wedding! I follow your blog! happy birthday to Nick!! Happy Birthday Nick! I wish you a day filled with good food and cocktails :) Except, do guys drink cocktails? Hmm.. I like the double bubble necklace! It's kind of understated! I follow you! Happy birthday Nick! I love this: Stella Square Bubble Necklace Purple!! I am ALREADY a fan (already have liked) Brighthouse Baubles on FB! I was already following you in Instagram, but I accidently clicked "following" and it unfollowed you. So I clicked follow, and now i'm at requested status! FAIL. Just posted the giveaway to Twitter, and tagged you!! WOO HOO for October madness! Hope you have a fabulous day filled with cupcakes, candles, and everything else you wished for!! Follow you via GFC! Great giveaway! Liked My Life, Laughs, & Love on Facebook! My favorite piece is the side cross necklace in gold! HAPPY BIRTHDAY NICK! Hope your day is wonderful! i can't follow Brighthouse Baubles on FB because I don't have it! Sorry. but great giveaway!! thanks girly! and i follow you on twitter!! and i follow brighthouse baules on twitter! PS - happy birthday nick!! I liked LL&L on FB!